Enough people have asked us about Blue Spring State Park after seeing the pictures we’ve posted on Instagram and such that we just have to write about it and share our tips. 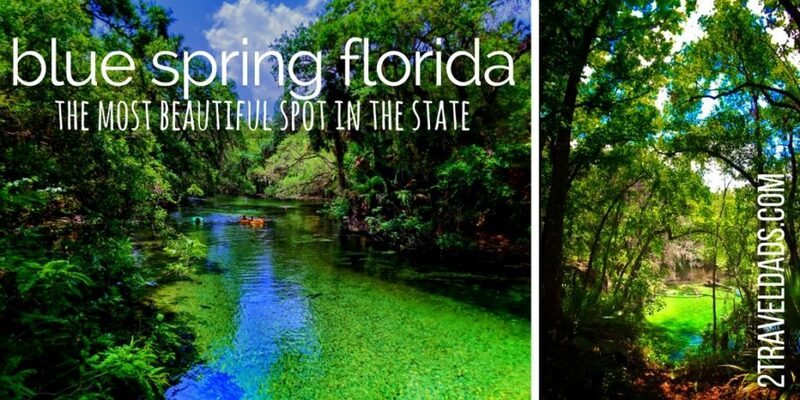 Florida has over 1000 natural springs and they’re all a little different. 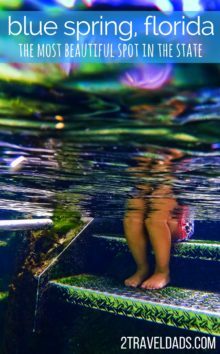 Some are in high traffic areas like on the Crystal River and others are so strange to pronounce that you might not have ever heard of them… like Ichetucknee. 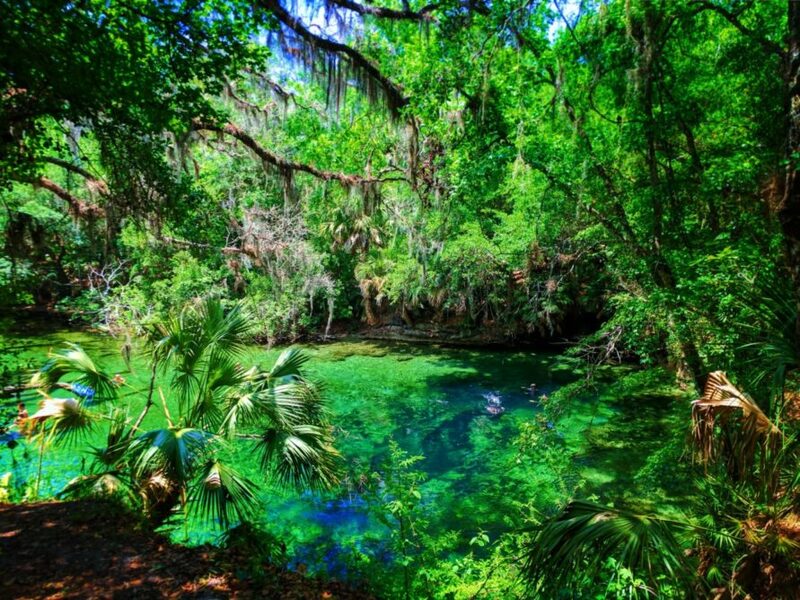 Blue Spring State Park is a little over a half hour away from Daytona Beach. It’s actually really easy to get to and quite simple to make a day trip out of. 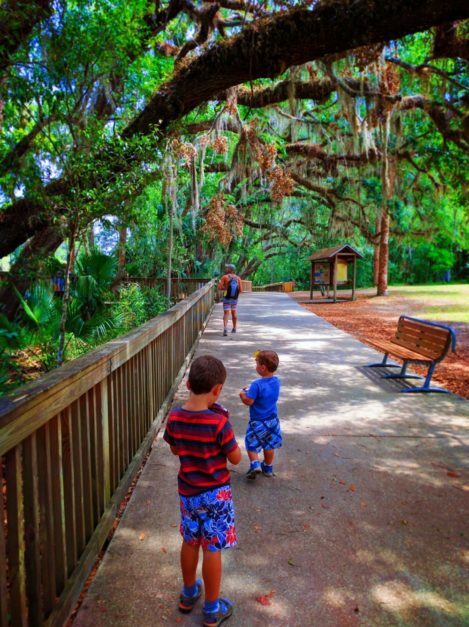 We paired it with the trip to Ponce De Leon Springs State Park. In the morning we swim in the Fountain of Youth and in the afternoon we swam at Blue Spring. 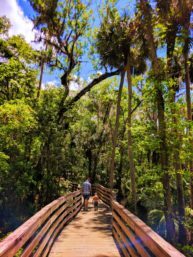 If you are visiting Orlando this is also an easy trip to add on (45 minutes). After a whole bunch of time and Disney World, no doubt you’ll be ready for some nature and Blue Spring State Park is just perfect for that. 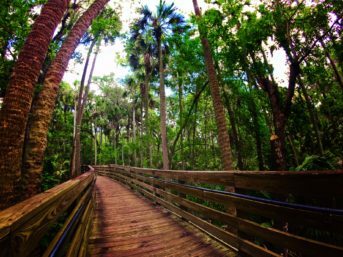 Note: there is an entrance fee into almost every Florida State Park. Usually it’s only $6 USD or so, but just be aware. Not much in travel is free. The best time of year to visit Blue Spring State Park is going to be in February. Well, that’s the best time to visit if you want to experience the crazy congregation of manatees in the river. 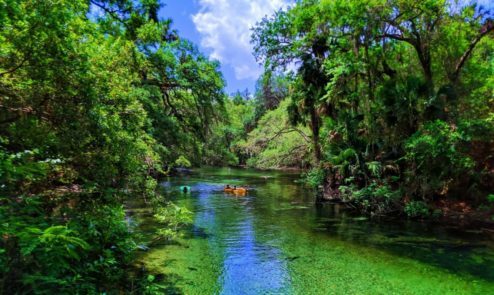 This year, 2017, nearly 400 manatees were spotted in the river approaching the headspring of Blue Spring. I don’t know about you, but that is a bucket list item for me to experience. Our youngest is obsessed with manatees and he actually would have freaked out and no doubt have been crying on the viewing platforms trying to join the manatees in the river. 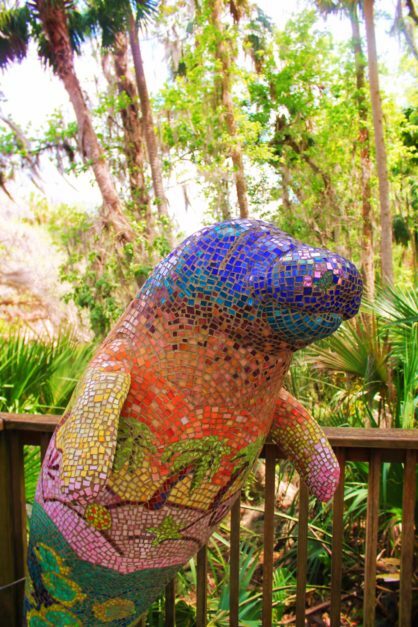 Note: The manatees congregate here at Blue Spring State Park because when the air temperature drops the water temperature stays nice and warm because it’s pulling from the aquifer. Perfect for manatees! And if you’re not actually going to be in this area, we’ve got suggestions all along the Florida Gulf Coast for seeing manatees too. 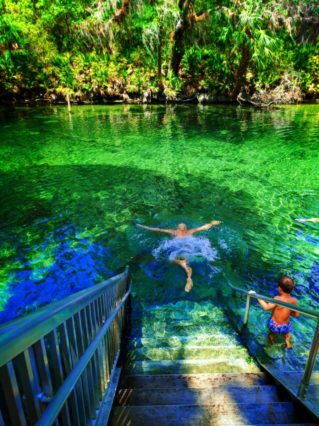 The water that bubbles up from Blue Spring and all the other springs around Florida is typically above 70 degrees Fahrenheit (21 degrees Celsius) which is quite warm. And that’s why we love to visit the different springs. 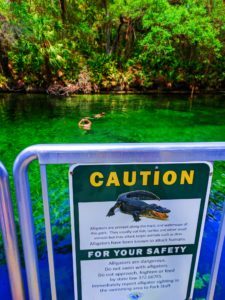 You can almost always swim in them… except when the state parks close them due to creatures who are congregating, such as manatees or alligators. So yes, the springs are just as attractive to wildlife as they are to the humans, but the animals for sure get priority. Tip: we’ve really come to love and appreciate ecotours, and there is an ecotour available just down from Blue Spring. 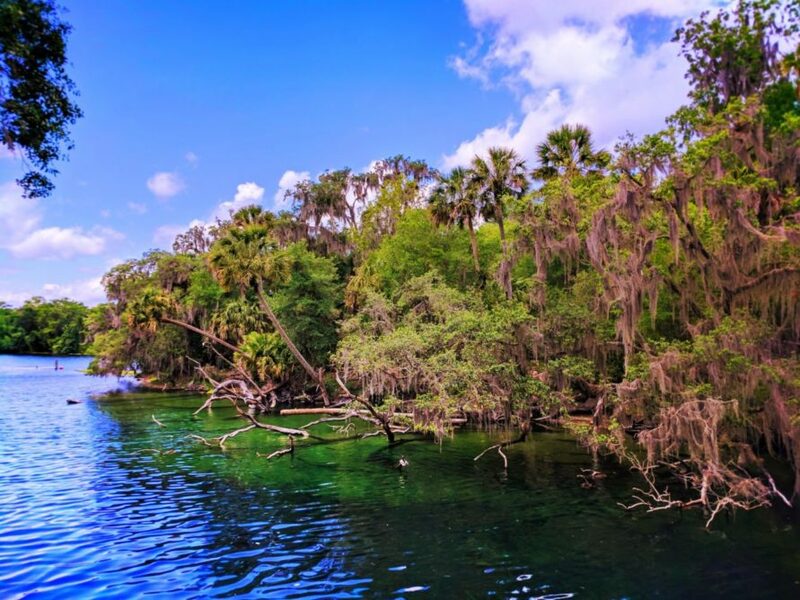 The St Johns River Cruise is an ecotour focusing on the natural life found in the river and the delicate ecosystem of Florida’s spring-fed waterways. Gosh, I really wish that we would have camped at Blue Spring State Park but we didn’t. Instead we visited the park as a day trip, which is also totally fine to do. Visiting Blue Spring can be whatever you want it to be. You can turn it into a picnic day or it can be a day of swimming and communing with nature. It’s up to you. Glad I’ve got your attention. 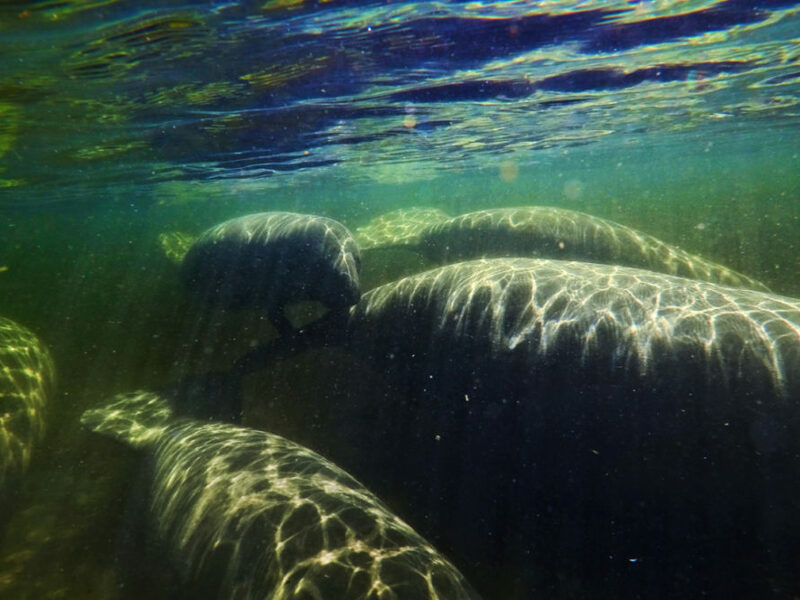 Clearly the most amazing thing you could possibly do at Blue Springs State Park is interact with manatees. You cannot swim with them, but if you stay just outside the boundary of the park, you can enjoy hanging out with manatees. I did a Stand Up Paddleboard (SUP) adventure with Paddleboard Orlando and it was mildly life changing. 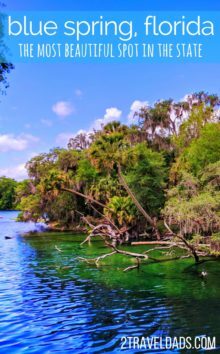 We launched and then paddle up the St Johns River a few hundred yards to the edge of Blue Springs State Park. Here, we sat on our board and the manatees came to us and said hi. You cannot intentionally touch them but you can be present and they’ll interact with you. I got a kiss even. Manatee kisses are pretty gross, but also the most amazing wildlife encounter I’ve ever had. Our goal with visiting Blue Spring with the kids was hopefully to spot a few manatees, but we were there a little late in the year to do that. We were, however, completely impressed with the enormous fish in the river. 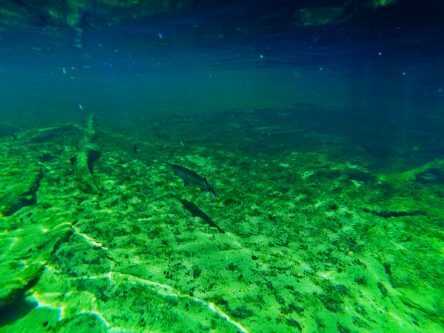 The Florida gar and other large variety were genuinely impressive and were easily visible from the viewing platforms. Oh yeah, there are platforms dispersed along the river to be able to take in the natural wonder of the perfect waters, but then also for viewing the manatees. 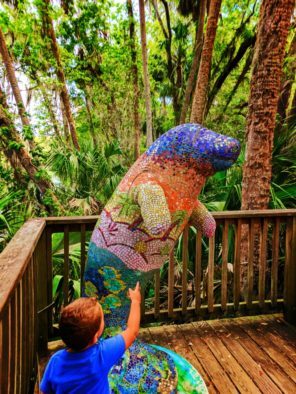 Tip: If you missed it before, the best time to visit for manatees is in the winter until the end of February. Hundreds of manatees. Hundreds. If you’re there for the swimming and appreciating the beautiful crystal clear water of Blue Spring State Park then you’re in luck. There are quite a few access points along the river for swimming without a canoe or kayak. If the day is hot the water is going to seem chilly but it’s totally not bad. For us, or at least being from the Pacific Northwest, the water was wonderfully warm and the kids weren’t hesitant in the slightest. Note: Pay close attention to the signs and swimming closures placed at the swimming holes and on the boards around the park. 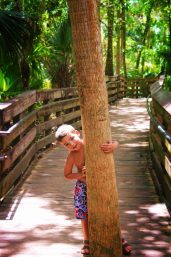 The rangers will close the river and Blue Spring to swimming if there are manatees present or if there is alligator activity. It is gator country. 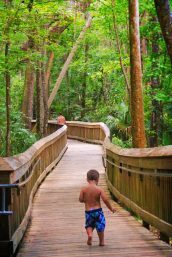 Part of the joy of wandering and swimming at Blue Spring State Park is actually the boardwalks that go through the palm jungle to get to the swimming holes. Elevated above the jungle floor, this was the first experience we had walking through a palm jungle of its kind. It was really cool. The kids loved the in-the-trees feel. Tip: if you’re on the West Coast and want do experience a palm jungle, go hiking in Palm Springs. 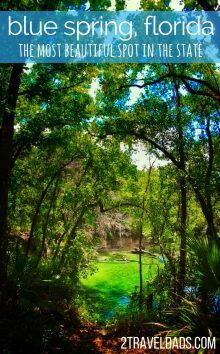 It’s not as dense and lush as Blue Spring State Park, but it’s beautiful and unusual. This is another activity for us for next time. Since Blue Springs was kind of an impromptu stop for us we hadn’t planned ahead for renting inner tubes within Blue Spring State Park. There is a vendor for renting tubes for floating the river midway along the boardwalks, and the water is so mellow the only reason you wouldn’t do it is if you were pressed for time. 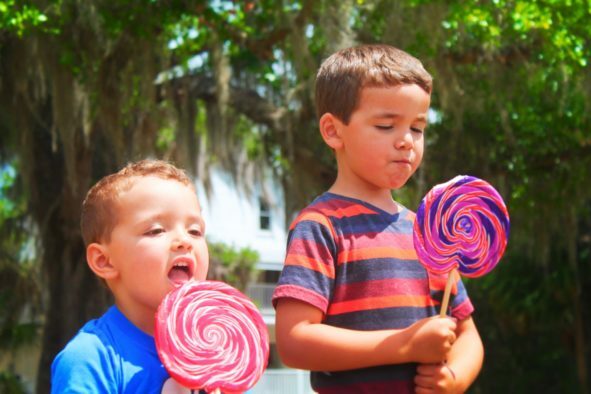 It’s a short float, but easy to repeat and enjoy! 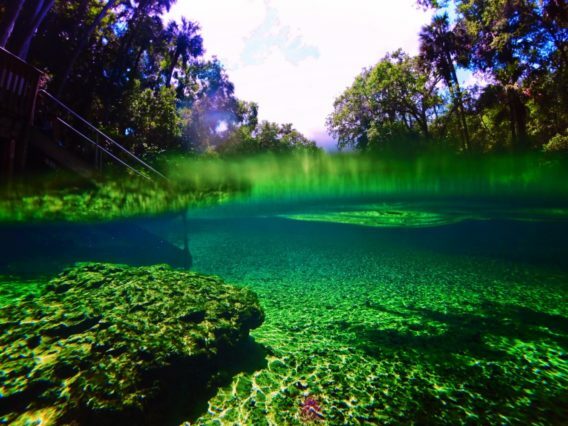 If you are a diver Blue Springs State Park might just be your unknown dream diving destination. We saw several people in their gear getting ready to dive into the head Springs. I’ll admit, I was completely jealous and wish that I had my PADI certification. The headsprings when viewed from above are absolutely gorgeous with such vibrant colors, and so deep. While it’s okay to snorkel into the headspring diving would for sure give you a more complete experience. 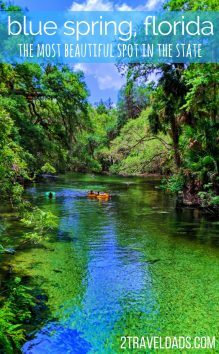 Tip: Blue Springs State Park and also Rainbow Springs offer different diving experiences at the headspring and down river. Check locally for advice about snorkeling or diving to the caverns that are along the different rivers. That limestone wears away and there’s so much wonder to find. Isn’t it just the coolest place? 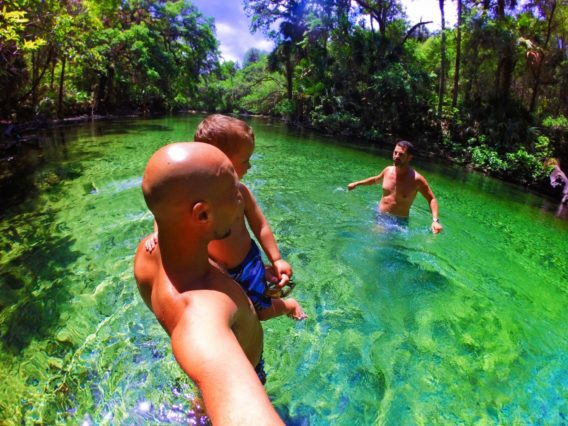 We can’t wait to come back to Blue Springs State Park on our next Florida trip. Florida keeps on calling us back and we’ll keep on answering. 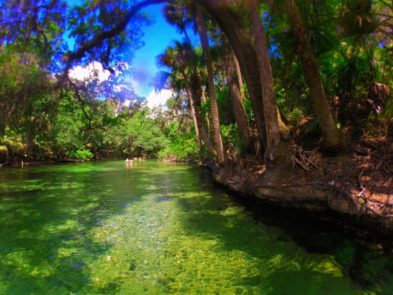 Have you been to Blue Springs State Park before? 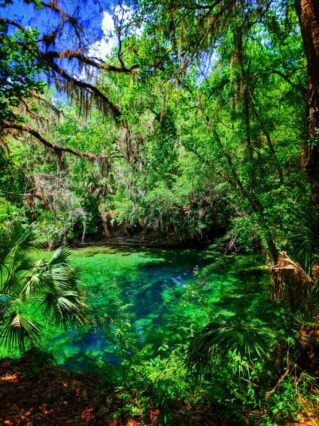 Of the more than a thousand springs in Florida which is your favorite to visit? Tell us so that we know where to hit up next time! Feel free to pin this for later for when you are planning your #LoveFL trip. Pin it, plan it, do it! The park looks splendid. Beautiful pictures. Superb post with stunning pictures! 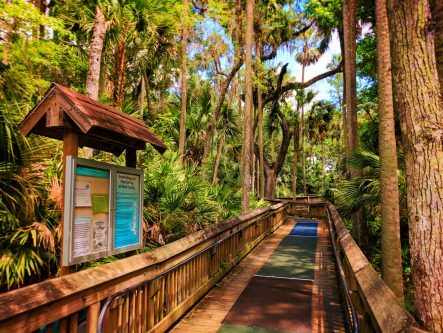 These are actually most beautiful places to visit in Florida. Such gorgeous pictures! Seems like the perfect place to spend time with family, especially the kids. Nice article. The photos you shared are fantastic. I really appreciate you. Thanks for your great sharing.